Recognizing the valuable contributions made by the McMaster Health Forum over the past eight years, the World Health Organization and its regional office for the Americas – the Pan-American Health Organization – renewed the Forum’s designation as the PAHO/WHO Collaborating Centre for Evidence-Informed Policy for another four-year term, with Forum director John Lavis as its director. In this capacity, the Forum will continue to support the priorities of WHO and PAHO, particularly in the field of evidence-informed policymaking. The re-designation will present the Forum with many ongoing opportunities for extending the reach and impacts of its innovative mechanisms for supporting evidence-informed policymaking. The McMaster Health Forum was originally designated as the WHO Collaborating Centre for Evidence-Informed Policy in December 2010. 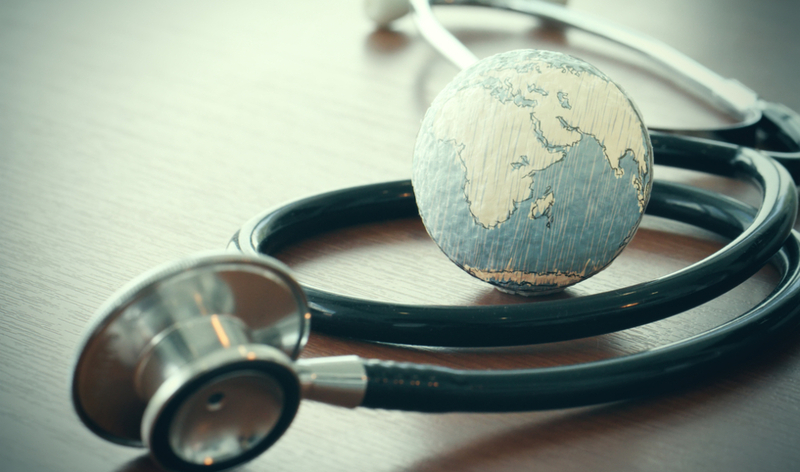 Recognizing the valuable contributions made by the Forum, the WHO renewed the Forum’s designation as a WHO Collaborating Centre for Evidence-Informed Policy for a third four-year term, to December 2022. Among the projects undertaken during the past four years, the Forum has worked with WHO and PAHO to support, monitor and evaluate EVIPNet in dozens of countries around the world, and to build capacity to find and use research evidence and to set agendas and develop and implement policies. The Forum — a cross-university initiative that extends McMaster’s global reputation from evidence-based medicine to evidence-informed health and social systems, and from problem-based learning to collective problem-solving — and WHO will continue to co-ordinate activities in several areas of common interest. The two groups plan to continue to co-operate on initiatives such as organizing stakeholder dialogues about pressing health and social challenges, building capacity for evidence-informed policymaking, and contributing towards institutional strengthening within WHO member states. Recognizing the valuable contributions made by the <a href="https://www.mcmasterforum.org" target="_blank" rel="noopener">McMaster Health Forum</a> over the past eight years, the <a href="https://www.who.int" target="_blank" rel="noopener">World Health Organization </a> and its regional office for the Americas – <a href="http://www.paho.org" target="_blank" rel="noopener">the Pan-American Health Organization</a> – renewed the Forum’s designation as the PAHO/WHO Collaborating Centre for Evidence-Informed Policy for another four-year term, with Forum director John Lavis as its director. In this capacity, the Forum will continue to support the priorities of WHO and PAHO, particularly in the field of evidence-informed policymaking. The re-designation will present the Forum with many ongoing opportunities for extending the reach and impacts of its innovative mechanisms for supporting evidence-informed policymaking. "The Forum aims to harness research evidence, citizen values and evidence-and values-informed stakeholder insights to inform policymaking, both domestically through the Forum and internationally through networks like the WHO-supported Evidence-Informed Policy Network,” said Forum Director John Lavis. “As such, we look forward to continuing our collaboration with WHO and PAHO to extend the reach and impacts of such networks.” The McMaster Health Forum was originally designated as the WHO Collaborating Centre for Evidence-Informed Policy in December 2010. Recognizing the valuable contributions made by the Forum, the WHO renewed the Forum’s designation as a WHO Collaborating Centre for Evidence-Informed Policy for a third four-year term, to December 2022. “We’re increasingly moving beyond health, to inform and support policymakers working to address social-system challenges,” said Lavis. “While evidence-informed policymaking approaches have helped drive progress in many health systems around the world, a new partnership among the Forum, its partners in 13 countries, the Hewlett Foundation, and Canada’s International Development Research Centre – Partners for Evidence-driven Rapid Learning in Social Systems – is now setting its sights on helping support the achievement of the full suite of Sustainable Development Goals (SDGs) using best evidence, citizen values and stakeholder insights. We’ve also developed and continue to expand Social Systems Evidence as a free resource for policymakers, stakeholders and researchers to find evidence about achieving the SDGs.” Among the projects undertaken during the past four years, the Forum has worked with WHO and PAHO to support, monitor and evaluate EVIPNet in dozens of countries around the world, and to build capacity to find and use research evidence and to set agendas and develop and implement policies. The Forum — a cross-university initiative that extends McMaster’s global reputation from evidence-based medicine to evidence-informed health and social systems, and from problem-based learning to collective problem-solving — and WHO will continue to co-ordinate activities in several areas of common interest. The two groups plan to continue to co-operate on initiatives such as organizing stakeholder dialogues about pressing health and social challenges, building capacity for evidence-informed policymaking, and contributing towards institutional strengthening within WHO member states.